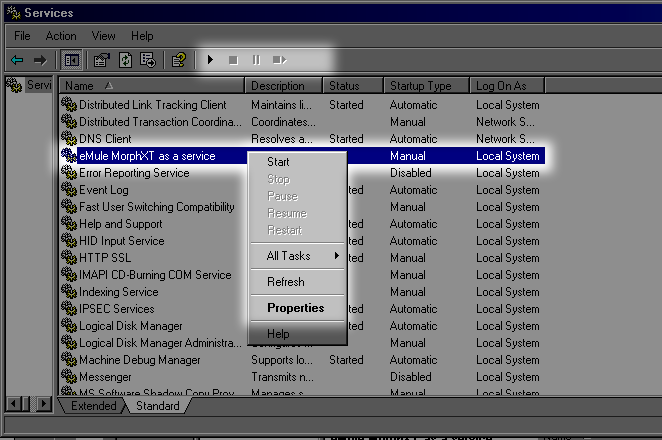 Emule morph 9.3 (and future stullemule based on that) has the option to run as a service. This allows you to startup Morph without logging into XP. THere is no gui when running as a service. 3.1 Will you separate the gui from the eMule core? With system startup means the service is automatically started with the system. Manual start means you have to start the service yourself. There are several option for this. First the exit dialog (which you can enable with prompt on exit form the general settings ). The “yes and start eMule service” quits the gui and start a new emule.exe in the context of the service. This button is only enabled if you installed the service and the user running eMule has enough rights to detect this. Pause and unpause are equivalent to disconnect to server and connect. Just as disconnecting to a server does not stop the upload neither does pausing the service. Emule uninstall[/code] Stops and uninstalls the service. Apply some settings that are useful when running as a service. Including “connect on startup”, disable startup sound, enable webservice (required to send links to service!) disable category selection box (nobody can click the OK button) and some more. This checkbox is unselected unless you just installed the service. You need to open the preferences to see the changed preferences. When you start eMule from your desktop and the service is running there are 2 options. Start the webservice. : Instead of the eMule gui a browser window to http://127.0.0.1:webserverport/ is opened. Stop service and start gui. The service is stopped (if you have enough rights to do this) and the normal eMule morph is started. For 0.48 set the option where to save the config file in the programs dir. Using a specific dir per requires to set the login in the service manually since the service logins by default as localsystem. No, this is just the regular eMule with some code to run it as a service. Very similar to Firedeamon and linkcatcher (see talk page). Most of the GUI code is still active as running it minimized. However more optimizations will be added in the future. Also the web interface might be updated in the future(the dreamwalker ajax project looks promising.) Running as a service is so you do not have to login in to XP and let it run while multiple users use the computer. Nothing more. There is no-one to press any ok/cancel button as a service so except the exit dialog make sure preferences that ask things are not enabled. If you want to hide eMule “general-> invisible mode” might be better for you since it does not require eMule to stop and start running to look at it. win98 users can forget about this. 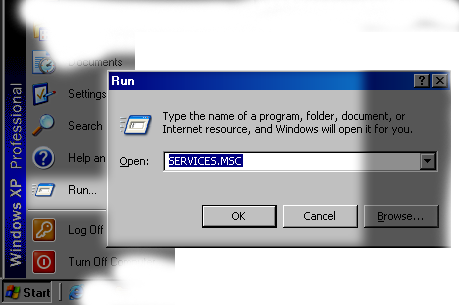 You need to run at least windows NT4.0 (untested…) to run as service. This page was last modified on 18 November 2010, at 14:38.